Simon Law’s Look to the Sky album was released on June 23rd 2017 and it was just brilliant working with Simon again after so many years. Truly one of the nicest and most talented musician /producers I have ever been fortunate enough to work with. Nothing about mixing the album felt like work, it was just a pleasure. Sting spent most of 2017 on the road with his 57th & 9th:World Tour which gave me the opportunity to work on some of these other projects but we did meet up a couple of times to do a little work on his musical project the Last Ship and a bit of TV promo, he’s always a pleasure to work with. I did my first Dolby Atmos mixes in 2017, what an amazing and creative format and just as I finished my mixes Avid released full Dolby Atmos integration in Pro Tools 12, nice to be ahead of the curve, in a good way. Working with my great friend and partner, Kipper we created yet more resource tracks for Rock Choir as well as 5 choir recording sessions at Abbey Road. Looking forward to another year working with Caroline and Rock Choir. 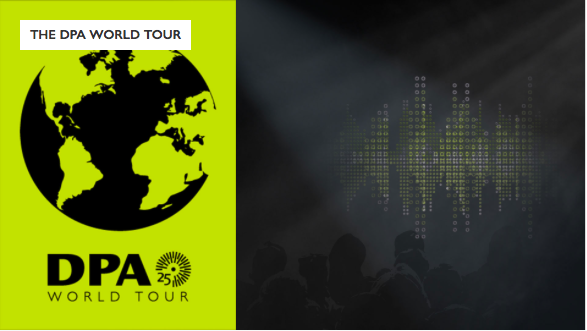 DPA Microphones is hosting fully-loaded, all-day audio masterclasses in cities around the world. At each event, well-respected “Masters of Audio” will share their experiences, show their best tricks and give hands-on demos of miking techniques for achieving the best result in various applications. In addition, microphone experts from DPA’s headquarters in Denmark will be available to demonstrate and provide technical background information on the microphones and miking techniques. So proud to be asked to be part of this amazing experience, thank you DPA.